Rising housing costs, precarious work, a shortage of savings and stagnated benefits all played a role in pushing more than half a million Ontarians toward food banks last year. The number of seniors across Ontario who turned to food banks for emergency support jumped by a "staggering" 10 per cent last year, according to a new report. It's a growth rate nearly three times faster than that of the province's senior population, stated the Ontario Association of Food Banks (OAFB), and it marks the beginning of a trend that's expected to continue. The findings were revealed in the association's 2018 Hunger Report, which was released Monday. It found 501,590 individuals used a food bank in the past year alone. "This is really just the first year in a trend," said OAFB chair Michael Maidment. "Many seniors are on a fixed income and essentially all costs, including housing and even things like food, have increased dramatically." Maidment explained supports such as CPP, Old Age Security and the Guaranteed Income Supplement have stagnated and failed to keep pace with the cost of living in the province. Ontario's changing workforce with a rise in part-time jobs, contract work and precarious employment also means seniors, people approaching retirement and even those who are just starting their careers have less to save and are increasingly falling below the poverty line, he added. But, overall, the report points to housing costs as the single biggest factor forcing people to the emergency help of food banks. Maidment said 89 per cent of food bank users are rental or social housing tenants and they spend the vast majority of their income keeping a roof over their head. "If rent consumes as much as 70 per cent of your income, there's little left over for anything else, like transit or food or even things like raising kids and, at this time of year, snowsuits or winter boots and all those things families need," he explained. To combat the increasing challenges facing Ontarians, many food banks have started to offer services beyond just a meal. Maidment, who is also the CEO of the Ottawa Food Bank, said his team operates a six-acre farm to provide people with fresh produce so they stay healthy. Last year, with the help of 1,000 volunteers, they grew and harvested more than 58,000 pounds of vegetables. In other cities across the province, food banks are going even further to tackle the core problems that push people toward them. "They're working on unemployment, working with health issues, tax clinics, trying to get on those underlying issues and connect them with programs in food banks or in community that are going to help families move beyond the emergency help of a food bank," said Maidment. One of the programs the OAFB is pushing for is Ontario's Basic Income Pilot, which was abruptly cancelled in July, leaving thousands of participants shocked and stressed for their future. The association is calling on the federal government to pick up where Ontario's government left off. "It was a project that had really great hope for our sector," said Maidment. "We hope the government will continue the one in Ontario or try it in another part of the country so we'll have the data to know if it's the right solution. The OAFB is also recommending Canada's government improve support for seniors by removing barriers that can make accessing benefits difficult or even "impossible for those that need it most." Food banks rely on the generosity of their community and Maidment said there's a lot of individuals can do to help meet the needs of the most vulnerable — from donating supplies to financial support. "For every dollar that's donated, we can provide three meals, so that's certainly important," he noted. Still, the single greatest help to food banks would be for more affordable housing and the OAFB is asking the province to make investments and play a role in making Ontario a more economical place to live. "Housing is such a significant portion of what people are spending their income on," said Maidment. 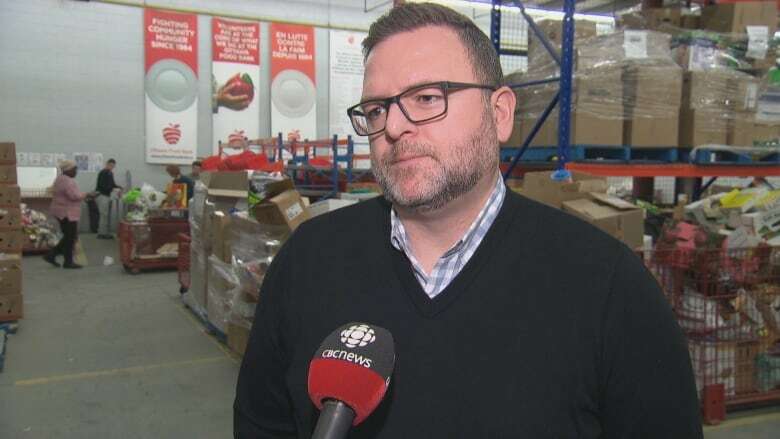 "It's really a tactic that could have a dramatic effect on the number of people requiring food banks across the province."